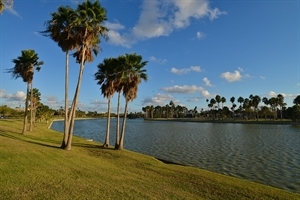 Steeped in a rich South Texas heritage and located in the South Texas tropics, Brownsville is a perfect two nation leisure travel destination where you’ll find plenty of exciting outdoor adventures, many historical sites and a bicultural ambience that's representative of Mexico. With the Gulf of Mexico less than half an hour away, Brownsville offers a paradise to our visitors and is one of our beloved treasures. Boca Chica beach offers miles of virgin shoreline and is one of Texas last undeveloped beaches. Enjoy a day of fishing, surfing or just plain good old fun and witness majestic sunsets as you relax in the warm gulf breeze. As you enter Brownsville’s Mitte Cultural District, you’ll find many attractions and things to do within a four-block radius. Stop by the Brownsville Museum of Fine Art and get a feel for the city’s local art. The museum contains works by local as well as international artists and houses a permanent collection dating back to the late 19th and early 20th centuries. Take a stroll through Gladys Porter Zoo, an oasis nested in the center of the Cultural District, and witness over 1,500 rare species of mammals, birds and reptiles as you explore this lush landscape filled with tropical plants. Also part of the district is the Old City Cemetery, Historic Brownsville Museum, Costumes of the Americas, and Children’s Museum of Brownsville. These museums provide visitors with a sense Brownsville’s history, architecture, art, genealogy and folk art. In Brownsville’s downtown area the Stillman House/Heritage Complex and Market Square Research Center open a window to the historical evolution of the city from its discovery up to the first half of the 20th Century. Continue your exploration of Brownsville’s history by visiting various historical landmarks. In the outskirts of the city you’ll find the nationally recognized Palo Alto Battlefield site, which marked the start of the war between the United State and Mexico. Also visit the last battle of the Civil War at the Battle of Palmito Ranch, where weeks after the Confederate armies had surrendered at Appomattox Courthouse, Virginia, United States and Confederate forces clashed on the coastal plains east of the city. The border culture comes alive with festivals and events throughout the year in Brownsville. Charro Days, a week-long fiesta, celebrates the long-time friendship between Brownsville and its sister city, Matamoros, Mexico. Charro Days is held the last week of February and features folkloric dancing, mariachis, food and parades. In fact, Charro Days hosts the only known international parade with numerous beautifully decorated floats. With the concurrent Sombrero Festival and Mr. Amigo Association activities, fiesta-goers have live concerts with popular and Tejano music, a Jalapeño Eating Contest, Grito Contest, Tortilla Toss, local food, dances, and loads of fun. The CAF Air Fiesta brings vintage and military aircraft to the skies over Brownsville in March. A signature event in Brownsville is the annual Latin Jazz Festival in October, which features some of the best regional and national acts. Jan 50.5 F° 59.6 F° 68.7 F° 1.4 "
Feb 53.3 F° 62.8 F° 72.2 F° 1.2 "
Mar 59.5 F° 68.8 F° 78.0 F° 0.9 "
Apr 65.2 F° 73.8 F° 82.3 F° 2.0 "
May 71.6 F° 79.3 F° 86.9 F° 2.5 "
Jun 74.9 F° 82.7 F° 90.5 F° 2.9 "
Jul 75.4 F° 83.9 F° 92.4 F° 1.8 "
Aug 75.3 F° 84.0 F° 92.6 F° 3.0 "
Sep 72.6 F° 81.0 F° 89.4 F° 5.3 "
Oct 65.9 F° 75.0 F° 84.0 F° 3.8 "
Nov 58.6 F° 67.7 F° 76.8 F° 1.8 "
Dec 52.0 F° 61.1 F° 70.2 F° 1.1 "
Spring temperatures are mild with averages in the low 70's and highs in the low 80's. Nights are mild with lows in the mid 60's. Summer temperatures are warm with averages in the low 80's and highs in the low 90's. Nights are warm with lows in the mid 70's. Fall temperatures are mild with averages in the mid 70's and highs in the low 80's. Nights are mild with lows in the mid 60's. Winter temperatures are cool with averages in the low 60's and highs in the low 70's. Nights are cool with lows in the low 50's.